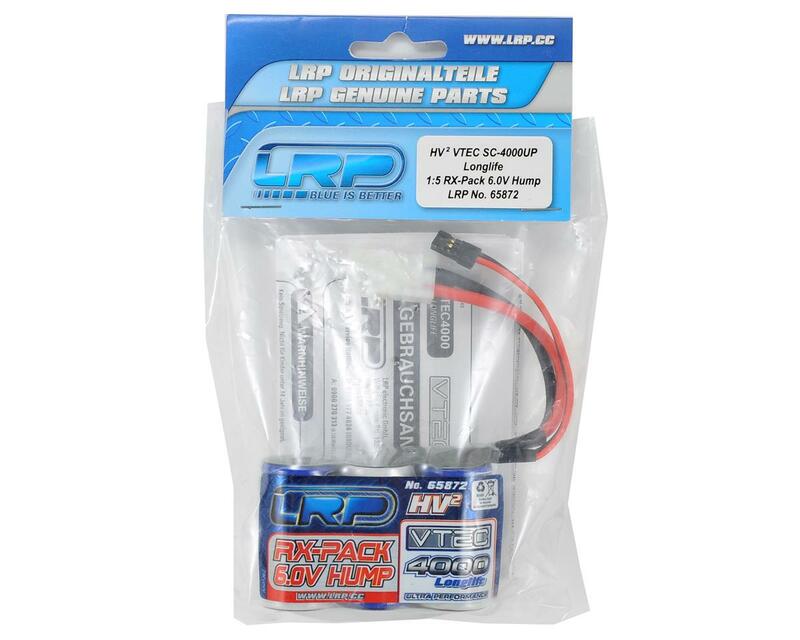 This is the LRP VTEC 5 Cell - 6.0V, 4000mAh Long Life 1/5 Scale NiMH Hump Receiver Pack. The VTEC-4000UP Long Life large scale receiver battery is very durable and can be stored for an astonishing long time, without any loss of power. The performance of the power pack is optimised by the LRP HV2 Selection and push treatment.